The Johnson 18 provides unprecedented performance, simplicity, and stability. It is a two-person sportboat designed by Rodger Martin Yacht Designs that can be sailed from dock or beach, with no trapeze, that is stable and sturdy enough for family sailing, and strikes a balance between simplicity and performance. The boat boasts simple controls, is lightweight, easy to rig, and easy to trailer. The foils and hull are designed for minimum weight and drag, with maximum strength. Johnson 18's are very well balanced, and steering takes only a very light hand. The cockpit is laid out with racing in mind, with controls for the mainsheet, boomvang, cunningham, and spinnaker halyard run right to the skipper, and the jib sheets, jib furler line, and spinnaker controls readily accessible to the crew. The Johnson 18's wide beam offers stability and confidence in heavy air. The Johnson 18 is equipped with a roller furling jib, an asymmetrical spinnaker, and a retractable bowsprit. The spinnaker makes the Johnson 18 as fun to sail downwind as upwind, and it is an absolute blast on a reach. And, though it is capable of impressive performance, its rounded cockpit makes it one of the more comfortable dinghies to sail on. 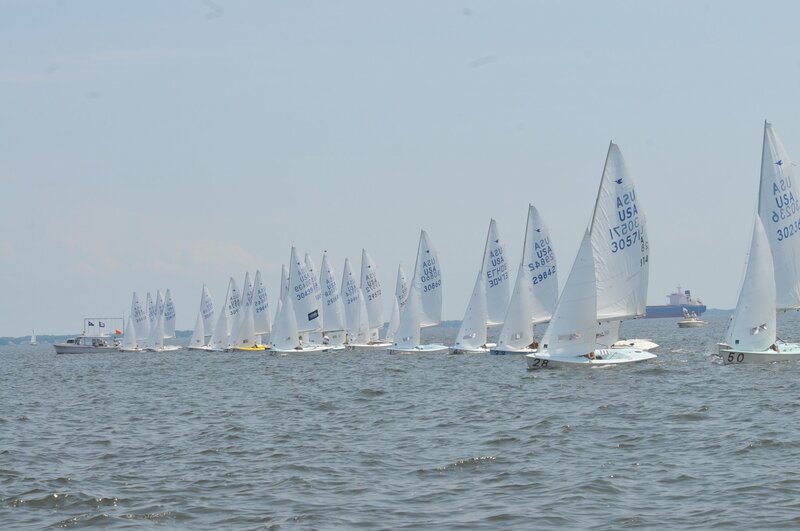 There’s plenty for a crew to do, and precise crew work is rewarded, but the layout is also intuitive enough that rookie sailors can quickly learn to compete. That, combined with Johnson 18’s impressive stability (a full-grown adult can stand on the gunwale without capsizing), make it a very forgiving boat, ideal instructing children or inexperienced friends. The Johnson 18 is intended to maximize enjoyment of the sport of sailing across the widest possible range of age, size, and skill level. 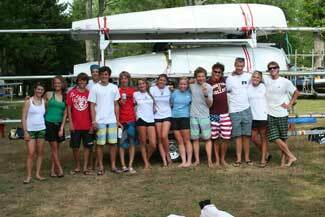 The Johnson 18 fleet at SSA is enthusiastic and collegial. Come sail with us!